After being 0-2 down in the series, Australia has made a stunning comeback as they won the last three games to win the series 3-2. This is the first time India has lost a home ODI series since their loss to South Africa in 2015. This series loss comes at the wrong time for India as this was their last ODI series before the World Cup. In the decider, Aaron Finch won the toss and choose to bat first on a slightly slow Feroz Shah Kotla wicket. Both the teams had made two changes to their playing XIs from the previous games. Batting first, Australia started well as the openers put up a 50 plus opening stand. A century from Usman Khawaja and a fifty from Peter Handscomb helped them put up a total of 9/272. Kuldeep Yadav and Mohammad Shami were a bit expensive whereas the other bowled well. Chasing 273, India lost Shikhar Dhawan early. India received the body blows in the middle-overs when the Australian spinners spun a web around the Indian batsmen. 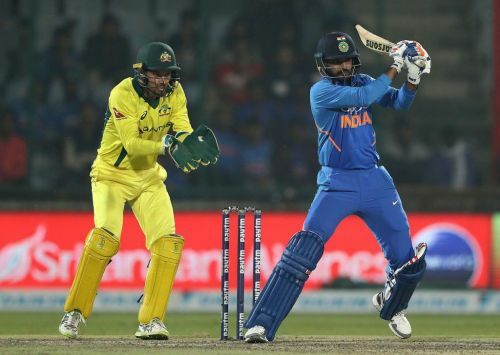 Kedar Jadhav and Bhuvneshwar Kumar fought for a while but it was not to be for India. Australia would be really happy with this series win as they were struggling of late. On the other hand, India would be really disappointed that they have lost a series at the wrong time. Let’s have a look at the reasons as to why India lost the series decider against Australia. 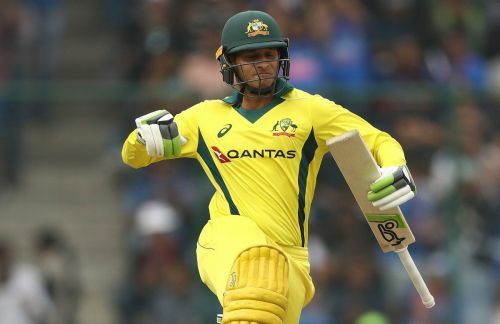 The Australian openers – Aaron Finch and Usman Khawaja, who had good opening partnerships in the second and the third ODI replicated the same in the fifth ODI as they put on another 50 plus opening partnership. They started off brilliantly in the first power-play as they hit at least one boundary in almost every over. They kept the scoreboard ticking and didn’t give away their wickets to the Indian seamers. Finch started off a bit slowly and was happy to play the second fiddle to his opening partner Khawaja. On the other hand, Khawaja just continued from where he left in Mohali. He showed his class from the word go as he started his innings with a flurry of boundaries. The opening partnership from Finch and Khawaja set up the perfect platform for the batsmen to come and that’s the reason Australia were able to post a good total.